Thoughts naturally turn to romance at this time of year and with Valentine’s Day almost here, there’s only a couple of days left to plan a surprise for your partner! Getting away from your daily lives and exploring a city for the first time allows you to recapture the magic of your first meeting, as well as enjoying some of the wonderful culture, architecture and cuisine of Europe’s finest cities. So if you’re looking for that perfect place to pop the question or even just gathering some inspiration for your next anniversary, here are a few of our favourite cities in which to sweep your loved one off their feet! There are few places more romantic than mist-laden, medieval Bruges in February. This Unesco World Heritage city is home to distinctive turreted architecture that might have been swiped from the pages of a fairytale and is overrun with places for an intimate stroll. 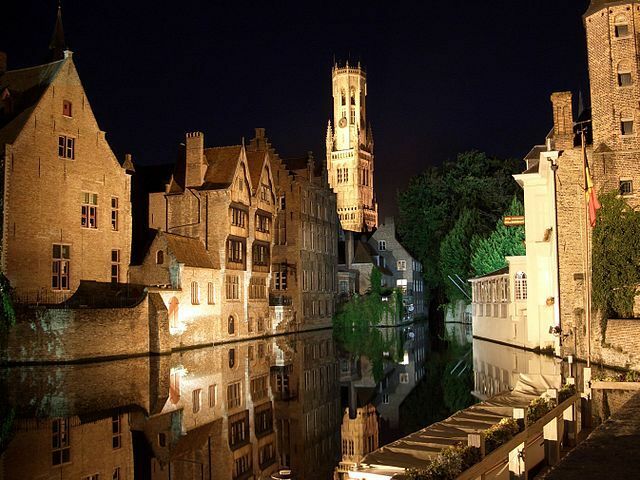 Try canal walks around Groene Rei, circling the city boundaries along the ‘Brugse Vesten’ – Bruges’ grassy ramparts – or gaze at the storybook beauty of the Gruuthuse, a 15th century palace. When your feet get sore, sample the best that local chocolatiers have to offer and settle in for a meal at one of the fine restaurants lining Tanners Square. A horse and carriages rumbles past up-lit Baroque façades, light glints off the Danube as it wends its way through the heart of the city, and in the distance, the faint sound of classical strings floats through the air. 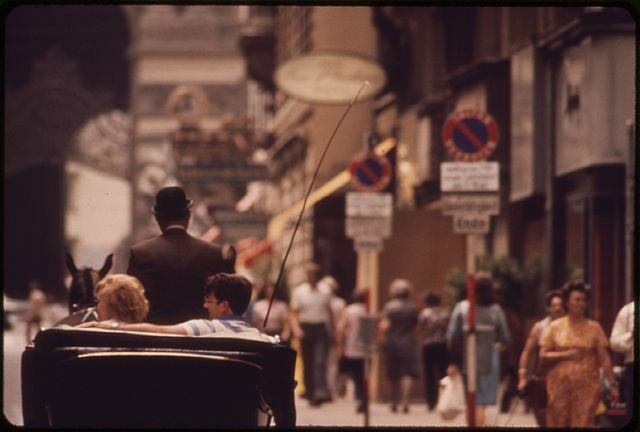 Vienna is an experience not to be missed, whoever you’re travelling with, but as a romantic destination, it excels itself. Whether you roam the fantastical gardens at the castle of Schloss Schönbrunn, snuggle together in one of the famous coffee houses or take in an opera at the opulent Staatsoper theatre, this Austrian city will relax and inspire at every step. 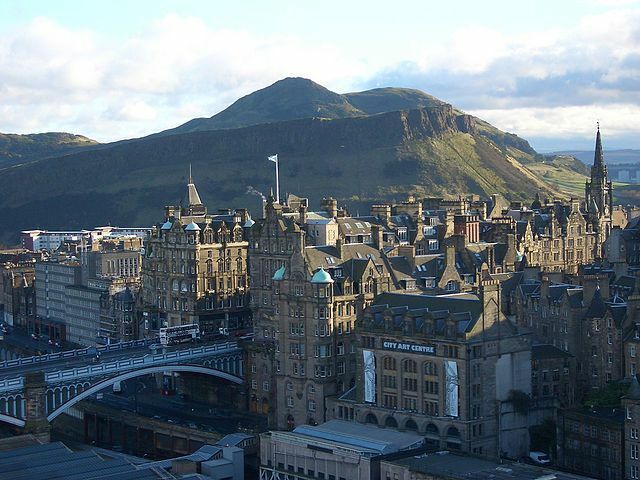 It’s evident from the moment you spy Edinburgh Castle high on the crags, rolling hills in the background, that the Scottish capital has romance by the bucket-load. Wander through characterful ‘wynds’ like the double-layered Victoria Street, or head to the wide avenues of the Georgian New Town; Edinburgh is picture-postcard pretty down to every detail. There are enough prestigious museums, charming tearooms and historic buildings to spend a week or two with your partner here, and once you’ve sampled the cosy restaurants serving neeps and tatties by the fireside, you may not want to leave at all! If you still have to book your Valentine’s break, why not take a look at some our last-minute hotels deals for this weekend and treat the one you love by whisking them away this year? Where do you think is the most romantic city in Europe? Do you have any special memories of Bruges, Vienna or Edinburgh? Share your own love stories in the comments below! Images by pixabay, Josep Renalias, Yoichi R. Okamoto and Saskia van de Nieuwenhof, used under Creative Comms licence.